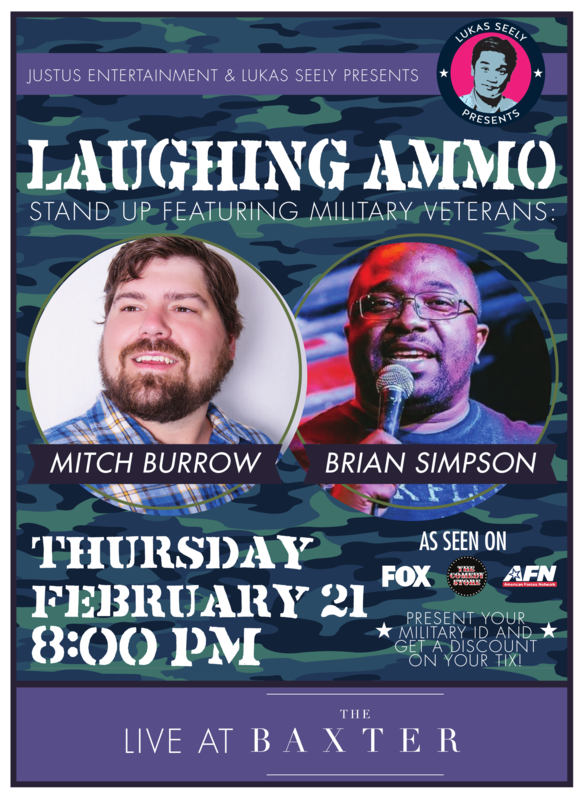 Featuring Mitch Burrow & Brian Simpson! Tickets are $15 in store or online and $20 at the door. $5 Discount on tickets with proof of Military ID! Doors open at 7pm and comedy starts at 8pm.